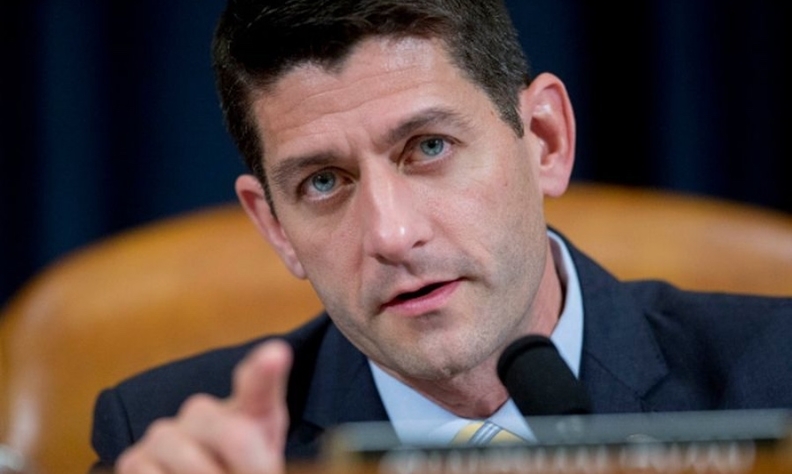 House Speaker Paul Ryan was one of several Republicans calling for a border tax on imports. Republican leaders in Washington, D.C., conceded on Thursday that a border-adjusted tax doesn’t have support to be part of negotiations to overhaul the U.S. tax code, a move that is sure to make U.S. and Canadian auto executives happy. The controversial border adjustment tax was meant to discourage U.S. companies from manufacturing products overseas and then importing them back into the United States for sale. The decision is a major victory for large importers who lobbied aggressively against the proposal, including a coalition that included automakers such as Toyota. "And we are now confident that, without transitioning to a new domestic consumption-based tax system, there is a viable approach for ensuring a level playing field between American and foreign companies and workers, while protecting American jobs and the U.S. tax base," according to the statement. Ryan and Brady had been telling Republicans prior to the statement’s release that the controversial border-adjusted tax on imports would no longer be part of tax-legislation negotiations, according to four people familiar with the ongoing discussions. Canadian Automotive Parts Manufacturers’ Association President Flavio Volpe believes the debate over a border adjustment tax ended some time ago but he’s still happy to hear the proposal is off the table. A border tax could have severely hurt the Canadian auto industry, he said. “I don’t think anyone believe threats of 20 or 30 per cent were anything but political but threats of 3.5 per cent or something in that order would have crippled a lot of the segment,” Volpe said. The border-adjusted tax, which would replace the current 35 per cent corporate rate with a 20 per cent levy on companies’ domestic sales and imported goods, had been a centrepiece of the House GOP tax plan endorsed by Brady and Ryan. It was estimated to generate more than USD $1 trillion over a decade, which would help pay for tax cuts promised by Republicans. The concept had been under attack by retailers and other industries that rely on imported goods, who mounted a campaign saying it would raise prices for working Americans on everyday goods. In January, Linamar CEO Linda Hasenfratz told an audience at the Automotive News World Congress in Detroit that a border tax would be detrimental to business. “The prospect of trying to put some trade barriers up between those countries is extremely troubling,” she said at the time, noting that the average automotive part crosses a border seven times in North America before it ends up in a consumer’s driveway. No one from from Linamar was immediately available to speak with Automotive News Canada on Thursday. Ryan’s office didn’t immediately respond to a request for comment.